During the last years, ESDi Higher School of Design has embarked on a series of challenges concerning the education world and its link with the business environment, marked by a strong approach to the Smart Design sector and by a new way of understanding the intersection between the Humanities and STEM Education, the Digital Humanities. Following this line, the General Director of ESDi’s Foundation of Textile Design (FUNDIT), Mr. Antoni Garrell Guiu, has designed doctor Josué Molina Neira as ESDi’s new Director, while the Dean of the Ramon Llull University, doctor Josep Maria Garrell Guiu, has also designed doctor Molina Neira as the Academic Director of the URL official studies. Previously Responsible of Teaching Methodology at ESDi and Secretary of the Implantation Council for Digital Humanities, Molina Neira, Doctor in Didactics of Social Sciences, also holds a Bachelor’s Degree in Social and Cultural Anthropology, being specialized in democratic citizenship, interculturality, teaching and learning processes, and qualitative, quantitative, mixt and applied research. Furthermore, the new ESDi Director has collaborated actively in the dissemination of his study fields, participating in over ten competitive research projects and writing over twenty scientific articles and book chapters. For months, Dr. Molina Neira has had a fundamental role in the impulse of ESDi’s new Bachelor in Digital Humanities and in the definition of the syllabus for the Official University Degree in Design, with the goal of “potentiating ESDi’s international acknowledgement as a benchmark of smart and humanistic design”, as the new director explains. “In this period I consider the need to help in the co-construction of ESDi’s community, so that it can face, with a holistic outlook, the responsibility of training people who are ready to assume future challenges and that are able to improve our future society, as well as the quality of life of those who live in it”, doctor Molina Neira adds. 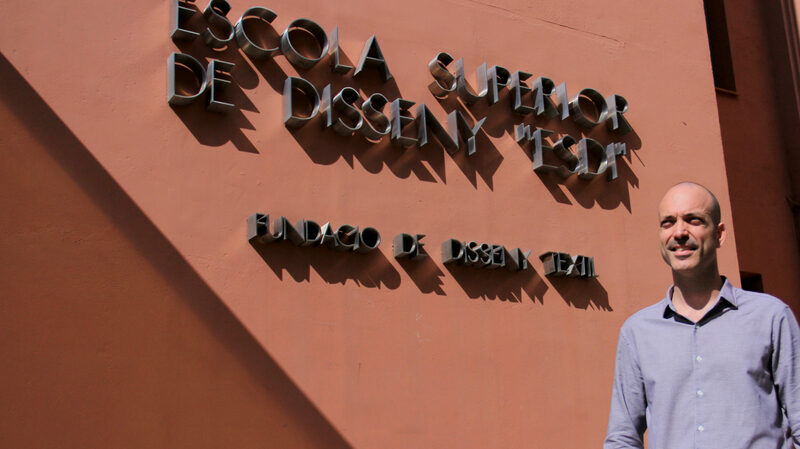 With his designation as ESDi’s new Director, doctor Molina Neira becomes part of FUNDIT-ESDi’s Direction Committee, together with Miss Georgina Bombardó, Director of Corporate Development, and Miss Eva Garrell, Director of Internationalization.